Police said the 4-year-old found the gun in the console of their mother's car. DALLAS, Ga. — A 6-year-old girl has died days after her younger brother accidentally shot her in the driveway of their home. Authorities identified her as Millie Drew Kelly. Kelly died on April 10, two days after the shooting on the evening of April 8. Deputies said the children’s mother had loaded the girl and her 4-year-old brother into their car, but it wouldn’t start when she got ready to leave. Police said she got out to see what was wrong and moments later, heard a gunshot. It happened at the home on Laurelcrest Lane in The Park at Cedarcrest subdivision. Paulding County detectives said no charges are being filed in this case. 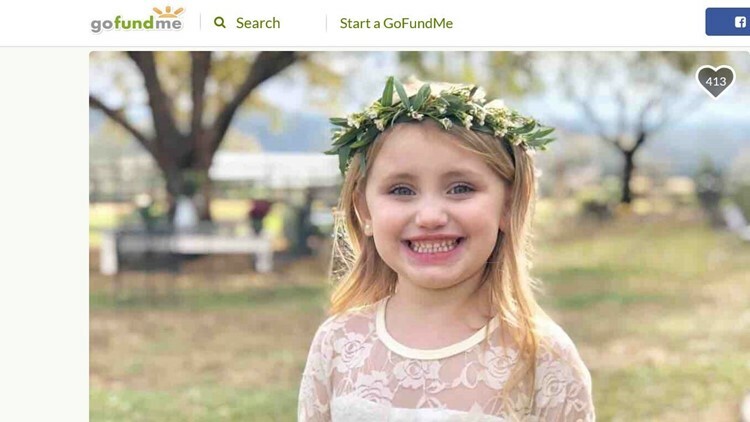 A family friend set up a fundraising account called Team Millie Drew. The organizer had a goal of raising $25,000 for her family and has nearly reached it. After learning about her death, the organizer wrote, "At a young age, she knew without a doubt Jesus is all she ever needed and wanted you to feel the same too. She shared his love, mercy and grace to everyone she met. Millie Drew gave life today by donating her organs to continue to show the love of Jesus, whom she loved with everything that she had." In cases like these, it is left up to law enforcement to determine whether the parents face charges if a child is shot with an unattended gun. In 2016, 3-year-old Houston Cole shot and killed himself when he found his parents’ gun in their Paulding County home. In that case, no charges were filed. That same year, 18-month-old Noah was killed in McDonough, after police said a gun was left out. His parents, in that case, were also not charged with a crime. An Atlanta couple, Sasiya Dixon and Gilbert Hardy, both faced several charges when their 3-year-old was accidentally shot in September of last year. In December, Antonio Stephens was charged with reckless conduct and battery family violence when his 2-year-old son shot and killed his 6-year-old daughter. “Sometimes, unfortunately, accidents do happen and bad things happen to good people,” Henson said. Other factors are often considered before charges are filed – including whether or not the parent had a criminal history, which would make it illegal for them to own a gun.